For European Immunisation Week we asked David Green, Public Health England’s immunisations nurse expert, to give us answers to some of the questions he gets asked the most. 1. What vaccines are available free on the NHS? The vaccines available depend on your child’s age and are aimed at the groups that need them the most. There’s a handy vaccine calculator on the NHS Choices website to help you work out which vaccinations your child should have and when. 2. Is it safe for babies and children to have several vaccines at once – do vaccines ‘overload’ their immune system? Giving your child a number of vaccinations at the same time is safe and is also very effective because protecting them as soon as possible is better than waiting. From the moment your child is born, he/she is naturally being exposed to a huge number of bacteria and viruses every day. Your baby’s immune system is able to cope with this and as a result becomes stronger. Compared with exposure to germs in the natural environment, responding to vaccines use only a tiny proportion of the infant’s immune system. 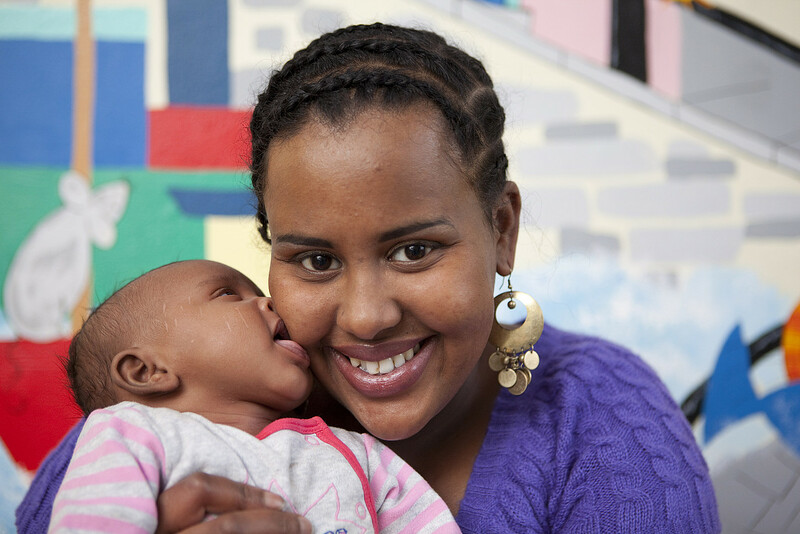 Giving vaccines together is routine in most countries around the world. Studies have demonstrated that there are no harmful effects from administering these multiple vaccines in one session, and there is no evidence to support arguments of “overloading” the immune system. 3. Can I still vaccinate my child if they are feeling unwell? If your baby has a minor illness without a fever, such as a cold, they can have their vaccinations as normal. If your baby is ill with a fever you should put-off the vaccination until they have recovered; this is only to avoid confusion if the fever gets worse – so you can be sure it’s not a response to the vaccine. If you're worried about other conditions your child may have please speak to your doctor, practice nurse or health visitor before your child has any immunisations. All vaccines used in the UK are thoroughly tested, meet strict safety criteria and are carefully monitored after they are introduced into the national programme. It’s frustrating that we occasionally see misinformation circulating about side-effects from vaccinations that may dissuade people from being vaccinated or vaccinating their children. Claims about MMR and autism have long been thoroughly discredited and I want to remind parents that the real danger to your children is from missing out on vaccination. If, for instance, children don’t receive their MMR vaccine they are at risk of getting measles, mumps or rubella. Occasionally this leads to tragedy – for instance we still see measles circulating and this disease can kill. 5. Can I find out what ingredients are in vaccines? If you’re curious, manufacturers provide details about the ingredients of their vaccines on their websites. Just Google the name of the vaccination to learn more. If you’re not sure what a vaccination is called, or have any other questions, speak to your GP, practice nurse or health visitor. 6. Are there any side-effects after immunisation? Some babies have some swelling, redness or a small hard lump where the injection was given and it may be sore to touch. This usually only lasts two to three days and doesn’t need any treatment. Fever is more common in babies when the MenB vaccine is given with other vaccines. After each of the two-month and four-month vaccinations you will need to give your baby a total of three doses of paracetamol (2.5ml of infant paracetamol 120mg/5ml suspension) to prevent and treat any potential fever. You should give the first dose of paracetamol as soon as possible after your two-month vaccination visit. You should then give the second dose four to six hours later and the third dose four to six hours after that. 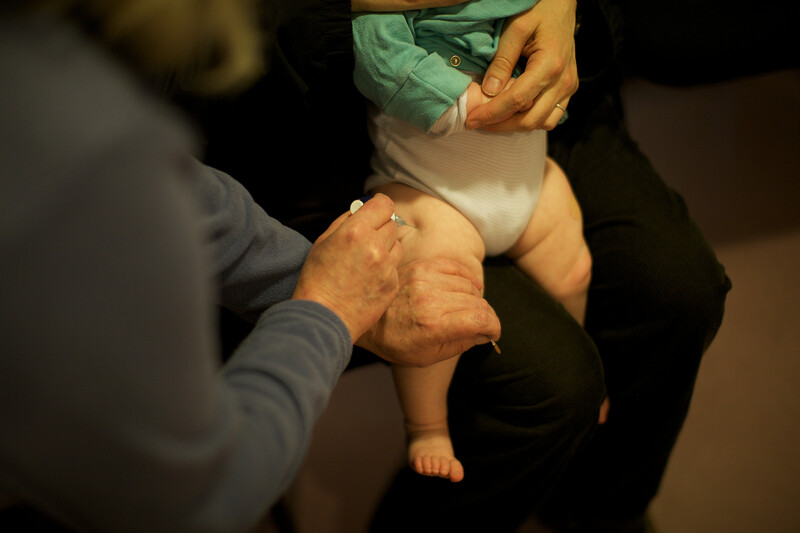 You will need to follow the same steps after your four-month vaccinations. For more information a leaflet is available on what to expect after vaccinations. 7. Is it ok for babies born prematurely to have vaccines at the recommended age? It’s especially important that premature babies get their vaccines on time, from eight weeks after birth, no matter how premature they are. Babies who are born early can be at greater risk of catching infections because their immune systems are less developed and they don’t receive as much natural immunity from their mothers. Postponing vaccination until they're older leaves them vulnerable to diseases. If your baby was born very prematurely (before 26 weeks of pregnancy) they may still be in hospital when their first vaccinations are due. In this case, your baby will receive their first vaccines in hospital. For more information a leaflet is available on vaccinations for premature babies. 8. Do the list of vaccines offered on the NHS change and if so why? All our vaccine programmes are constantly monitored to ensure that they offer the best protection as safely as possible. The monitoring information is then reported to an independent group of experts who weigh up all the scientific evidence and decide how the programme should be changed to best deal with diseases affecting people in England. New vaccinations are sometimes introduced rapidly in response to rises in disease cases – for instance a vaccine called MenACWY was introduced for adolescents in 2015 in response to an increase in a particularly aggressive strain of meningococcal disease which can cause meningitis and septicaemia. 9. What happens if I decide not to get my child vaccinated but later change my mind? You should take up your child’s vaccinations as soon as they are offered. If you didn’t, contact your GP surgery and book them in for the vaccinations that they missed out on but are still eligible to receive. 10. How long does protection from vaccines last? It varies depending on the vaccination. Vaccinations are timed to deliver protection when it’s needed most. For example, the MenB vaccine (which protects against bacteria that can cause meningitis and septicaemia) is given to children under 1 year of age – the age when the number of MenB cases peaks. 11. I’ve heard that vaccines are not that effective, is it worth having them? Vaccines are highly effective. They save lives, prevent serious complications, hospitalisation and disability in people of all ages. Because of vaccinations, we no longer see serious illnesses like smallpox, and polio has almost been eradicated. All vaccines used in the UK are thoroughly tested and have to be proven effective before they can be introduced. 12. I’m thinking of travelling abroad with my family, what vaccines should we have and do I have to pay for travel vaccines? You and your family should be up-to-date with all their vaccines appropriate for their age. Extra vaccines may be needed depending on which countries you are visiting. You may have to pay for some of these but it is important you and are family are properly protected before you travel. Speak to your GP for more advice about staying healthy when abroad. 13. Can I wait for an outbreak to actually occur before getting my child vaccinated? You should get your child vaccinated at the recommended time to ensure they receive the best direct protection. Sometimes when there is an outbreak, children in the affected area may be vaccinated to boost their immunity, but this is an extra measure that may or may not be offered. Some infections can be spread from people who don’t have symptoms, other infections are spread most effectively before people have symptoms, responses to some vaccines may take a few weeks – so it’s definitely not recommended to wait and see. Doing this puts your child at risk. 14. Can I make an appointment to talk to someone about vaccines before I book my child in? You can book an appointment with your GP or practice nurse to discuss what vaccinations your child should have and to discuss any concerns.